In the wake of allegations against Harvey Weinstein, 38 women say director and screenwriter James Toback sexually harassed and assaulted them. Director and screenwriter James Toback is the latest Hollywood figure to be accused of sexual harassment and assault. Thirty-eight women talked to the Los Angeles Times about their experiences with Toback. According to the women, Toback used his position in Hollywood to set up meetings that "quickly turned sexual." Toback wrote the Oscar-nominated screenplay for 1991's "Bugsy" and directed films like "The Pick-up Artist" and "Harvard Man." Toback told the outlet he doesn't remember meeting any of the women and denied the allegations. The report comes in the wake of more than 40 women accusing producer Harvey Weinstein of sexual harassment and assault. 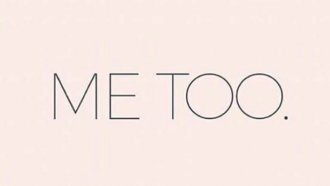 After the news about Weinstein broke, people around the world began sharing their stories about sexual harassment and assault using the hashtag #metoo. The indie rock band Veruca Salt used the hashtag to call out Toback on Oct. 16. Louise Post, a guitarist and vocalist for the band, was one of the 38 women the Times spoke with.